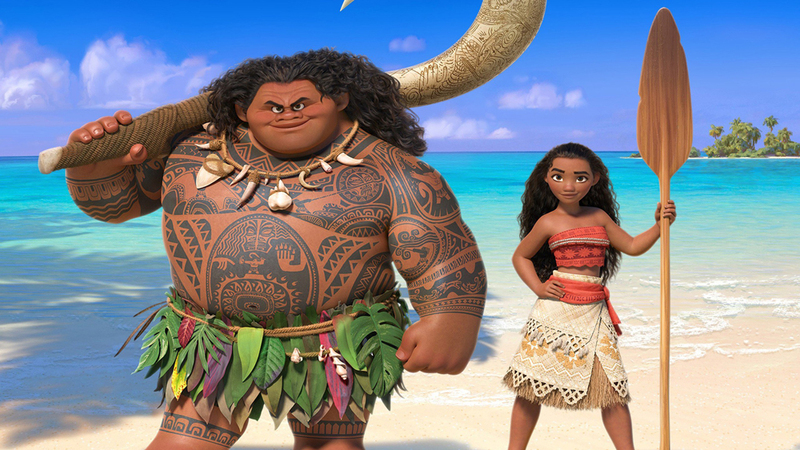 Synopsis: Moana, the daughter of the ruler of an Ancient Polynesian tribe, sets out on a journey to find the demi-god Maui whose actions have threatened to wreak havoc on their way of life. 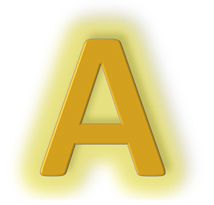 Review: Is there a movie studio out there that seems as though with each passing film that they release is a massive hit and rakes in the cash at the Box Office? One could make the argument for Marvel Studios, but certainly one studio that seems to be on an unstoppable run at the minute would be Walt Disney Animation Studios. Their first 2016 release Zootopia/Zootropolis raked in over a billion dollars at the worldwide box office, and was a smash hit with just about everyone who saw it. Their latest effort proves that the studio is still bringing home the bacon, and in some style too. The story focuses on our titular character who after being brought up by her father to be the future leader of their clan, is determined to break from the role her parents want her to be, and become the person she wants to be. Their situation becomes somewhat desperate when the demi-god Maui who without spoiling too much, has made some decisions that are threatening their island and way of life with dire consequences. As such, with typical Disney Princess determination and courage, she sets sail in order to save her people. Disney has certainly forged a reputation for telling Princess stories and telling them with beautiful animation, rich and diverse characters, some singing and a really fun and exciting adventure, and Moana is no exception to this trend. It is something of a cliche at this point to say that the animation is great because with Disney, you wouldn’t expect anything less, but in this instance the animation is truly something to behold, the sheer amount of detail that has clearly gone into the creation of everything you see on screen is absolutely crystal clear. Directors Ron Clements and Rich Musker, having worked on gems such as Aladdin and The Little Mermaid, certainly bring their strong experience to the table. Of course superb animation would be pretty rubbish if the story with it was no good, but no chance of that here, as the screenplay by Jared Bush, with a little help from one Taika Waititi, is excellent. The gorgeous animation is aided by, as is so often the case with Disney and in particular Disney princess stories, great music and great songs that could very well give Let it Go a strong run for its money, and just maybe an Oscar nod for Original Song. Disney so often creates multi-dimensional characters that audiences can gravitate to, particularly in the case of Moana, in a similar vein to Frozen’s Elsa is a strong-willed and fierce female protagonist who is not dependent on a man to tell her what or what not she needs to do. Opposite her is of course Dwayne Johnson’s Maui who at first is a bit rude and dismissive of Moana but over the course of the film grows to respect her. The pair make a solid duo and you cannot help but get excited as they go on their adventure, all the while being accompanied by a rather hilarious and somewhat dim chicken named Hei Hei, who certainly tries his hardest to steal the show, and in some cases succeeds. There are times when the story, although it is very well done, is not sailing any new seas. You would be forgiven for thinking you have been here before, but with the excellent characters that you become invested in, you want to go on this adventure and marvel at the joyous animation on screen. Between this and Zootopia alone, Disney has had one superb year, and if you include Pixar and well Marvel and Star Wars, then the wind is certainly in Disney’s sails alright! Furthermore between Disney’s offerings, Finding Dory and the many other animated films to have graced the silver screen this year, the race for that Animated gong in this year’s Awards season could be a very interesting one indeed. 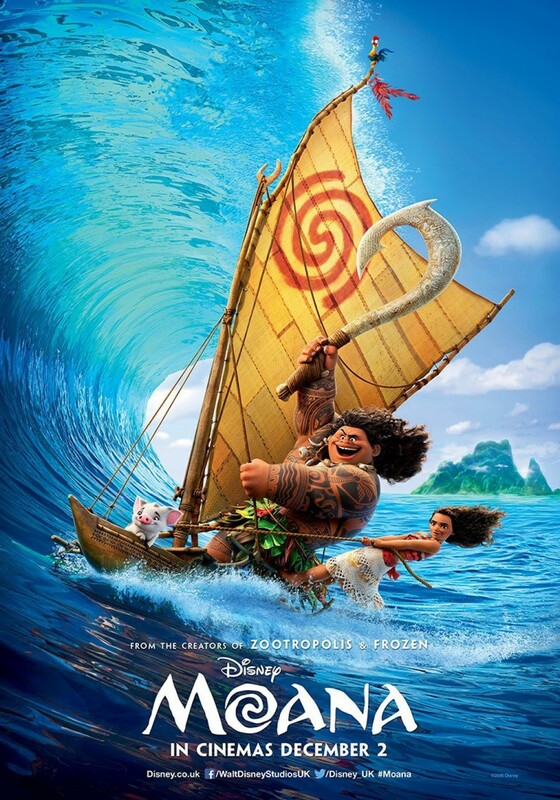 With every film they make, Disney just keeps making hit after hit, and with breathtaking animation and well developed characters, Moana is another fine piece of work that has all the ingredients to become a future classic.